Nitric oxide is known in science as the “miracle molecule” because of its anti-aging and artery-support properties. Men may and increased testosterone levels with daily use, and both men and women may discover increased libido. This, in turn, increases blood flow and supports the retention of muscle growth when working out. Nitric oxide it’s it’s been called the miracle molecule because it helps with anti-aging it helps with the arteries. We’ve heard a lot of people talking about L Arginine since the Nobel Prize was given to that group of scientists for their work with L Arginine. “We have all heard of a product that’s been on the market called viagra all based on that on the Nobel Prize science. In 4Restore the ingredients that are in it, science says those ingredients will help improve libido not just in men but in women as well. Tom Mower was really looking for something that’s going to make people feel good, and help them recover. It helps to address some of the things that start happening when we age. ” Dr Curt Ficenec. 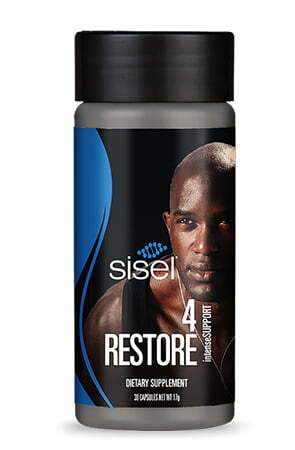 Click here to Listen to the Sisel Doctor Clinic Call on 4Restore.